The success of Hadoop network has led to the development of an array of software. All these software along with Hadoop make up the Hadoop ecosystem. 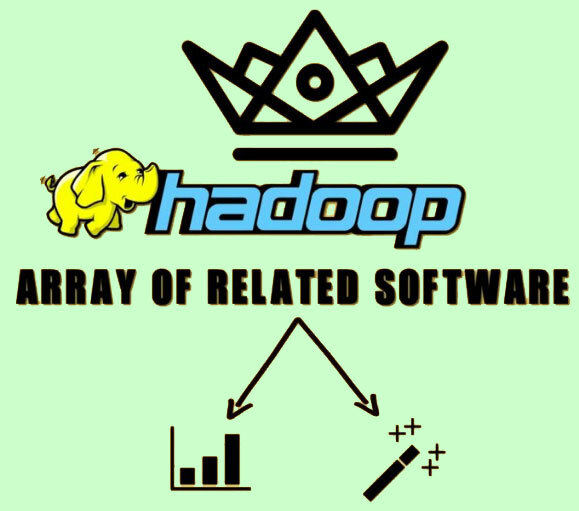 The main objective of this software is to enhance functionality and increase the efficiency of the Hadoop framework. It is a scripting language used to write data analysis programs for large data sets that are present on the Hadoop Cluster. It is also called as PIG Latin. It is a column oriented database that allows reading and writing of data onto the HDFS on a real time basis. It is a SQL like a language that allows squaring of data from HDFS. The SQL version of Hive is called Hive QL. It is an application that is used to transfer data to and from Hadoop to any relational database management system. It is an application that allows moving streaming data into a cluster. For example, data that is being written into log files. It takes care of all the coordination required among all these software to function properly. Read Next What is HDFS (Hadoop Distributed File System)?